I'm sure most, if not all of you have never heard that name before. Makes sense, guy was only ever in one movie, but I think it's important to mention his passing. 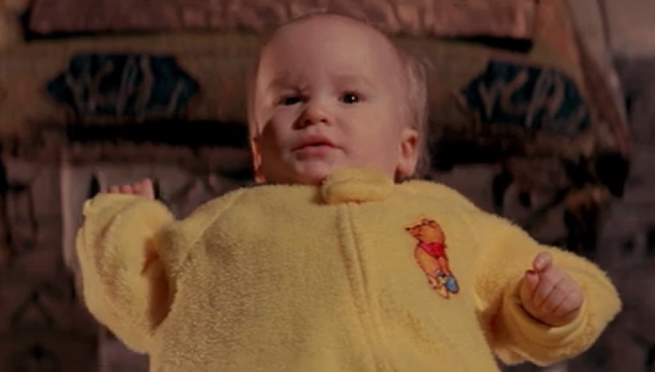 Henry "Hank" Deutschendorf, along with his twin brother Will Deutschendorf, -in addition to being John Denver's nephews, played baby Oscar in Ghostbusters II. Henry recently lost his battle with schizoaffective disorder. In other words, he committed suicide . He was 28 years old. Schizoaffective disorder is a chronic mental health condition which is a combination of bipolar disorder and schizophrenia. People who suffer with schizoaffective disorder experience hallucinations, delusions, depression, and mania. It is a very severe mental illness that requires a lifetime of treatment. Sorry to be such a Debbie Downer so early in the morning. This is not a soapbox post, just something that hits slightly left of close to home on a few small levels. Just like with Chris Cornell, you never know what's going in someone elses head. Probably shouldn't rule out Vigo The Carpathian as possible cause of death as well.